Where are you? 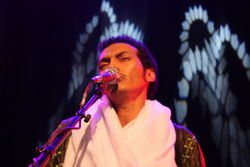 Home > News > Guitar wizard Bombino on "Later... with Jools Holland"
American label world music label Cumbancha have just let us know that the Saharan guitar wizard Omara "Bombino" Moctar and his band Bombino from Niger will be appearing on the BBC2's "Later... with Jools Holland" live tonight (Tues 2nd Nov 2011) at 22.00 (UK time) and with a repeat this Friday (4th Nov 2011) at 23.50 (UK time). Other guests on this episode (Series 39, Episode 7) include some guy named Pete Townsend (celebrating Quadrophenia), Florence & the Machine (plugging follow-up album Ceremonials), My Morning Jacket (with 6th album Circuital), Suede's Brett Anderson and Canada's Cold Specks. 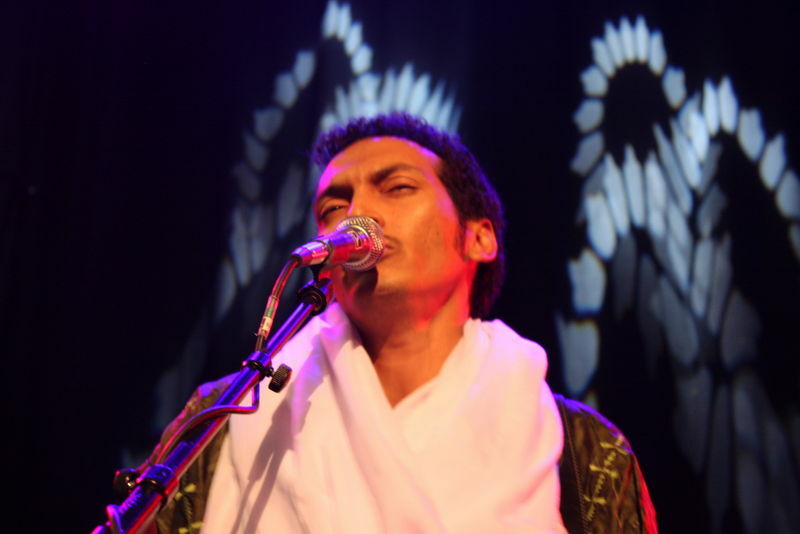 Bombino's album is called "Agadez" and is on the Cumbancha label.